Don’t delay and risk a fine! If your rental home is located in Lower Township, make an appointment to get your inspection done today. 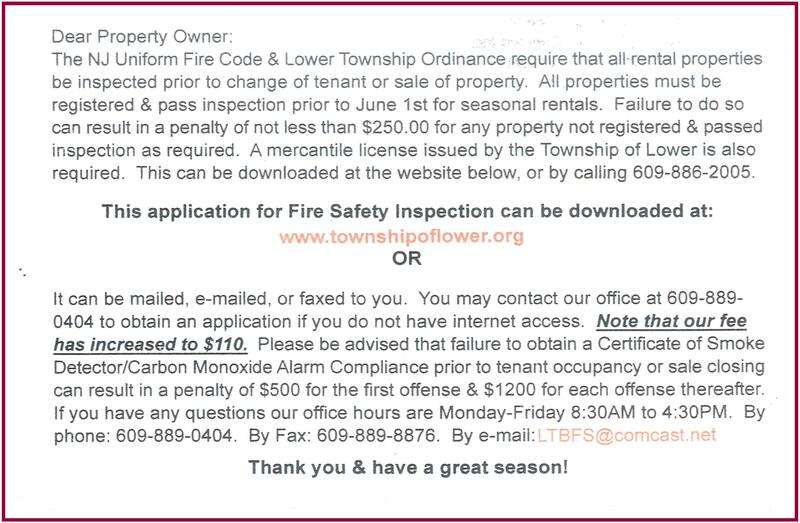 The following notice was recently received by our rental team for properties located in the Township of Lower. 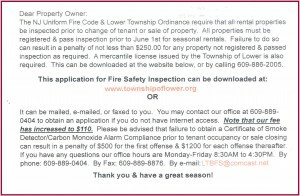 All weekly rental properties must be registered and pass fire inspection prior to June 1,… 2011. A mercantile license is also required for each property. Our rental team can assist you with both of these requirements for a handling fee of $50.00. To take advantage of this offer please contact our rental team today! Next Next post: Reserve Your Cape May Vacation Now!